Out of the eighty-four 2018 Grammy Awards, only one goes to a woman on the big night, the odds are incredible! The 2018 Grammy Awards were more than just a disaster for ratings, which disappointed advertisers and sponsors. The Recording Academy chose their biggest night to demonstrate that the powerful and connected will not tolerate any accusations similar to those that have rocked the motion picture industry and others to their cores. On the surface, the 2018 Grammys predictably devolved into a political sound bite slugfest much to the disappointment of their legions of fans and the artists themselves who would have preferred that the night shine a light on them, their music and their achievements. The affects of the NFL player’s protests on fans, attendance, and sponsors have been all too clearly documented. Mixing politics with your bread and butter will sour the dough. 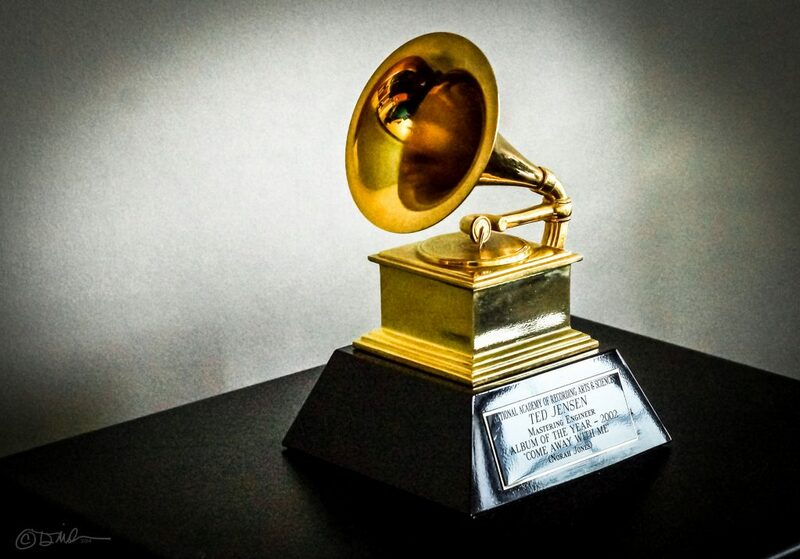 In 2012 40 million viewers tuned in to watch the Grammys. On Monday night less than half returned, just 19.8 Million bothered to watch. What could be more damaging and therefore justify running the very real risk of alienating the paying fans, advertisers, and financial investors? What threat looming large on the horizon could force the Recording Academy to choose its biggest night to preemptively demonstrate that it and its powerful members will not be held to account so easily? #MeToo is who. The Recording Academy has demonstrated that it has the power, the will and the means to sideline anyone’s career. On Monday night, women could dance, perform, attend, invest, support and outsell, but they could not win. Out of 84 Grammy Awards, on the big night, while the world was watching, only one woman was judged to have been better than her co-nominees. The odds are incredibly small that the outcome was apparently anything but planned and deliberate. The #MeToo victims and supporters have rightfully changed the world for the better. Their collective efforts have rocked the halls of power; movies, television, sports, science, education, media, business, the fine arts, and politics on all levels have been changed for good and for the better. Music and its closely related industries stand out as an odd anomaly wherein only a fraction of its members stand accused. Either the whole of the music industry stands as a moral and ethical virtuous island in a sea of depravity or it stands firm in its resolve to not allow its dirty laundry to be aired in public. The power brokers, rainmakers, angel investors, and their sycophants are the very ones with the most to hide and the ability to keep it hidden. The #MeToo movement requires some victims to literally put their careers on the line by speaking truth to power. The Grammys was a chance for the music industry’s most powerful to send an unequivocal message to everyone that they could easily sideline anyone or any group of artists’ careers and do so in grand public fashion with impunity. Very little of what the #MeToo movement has accomplished has been supported by hard, physical evidence and all of what the movement has accomplished has been based on our communitie’s ability to collectively embrace the concept that enough is enough and no longer will we stand passively by as witnesses to the present. Fully half our community is not, and will no longer be subjugated by those in power and be handed something as ethereal and fleeting as the success, popularity, fame or fortune. While there are many hints, two stand out more than others: Album of the Year, the only nominee NOT asked to perform solo was Lorde; and Jay-Z, after his comments on CNN’s inaugural The Van Jones Show saying the #MeToo movement needed to happen to purge the industries. Lorde did not perform and both Lorde and Jay-Z went home empty-handed. I know it when I see it, and the 2018 Grammy Awards was a message sent and most assuredly received by every woman involved. So long as this is allowed to remain as the status quo, women will find it nearly impossible to secure backers, investors, and hire and retain quality talent. All of them want to, and need to be involved with a successful artist, therefore going into 2018 how many women will be able to retain supporters if their investments in time, treasure, and talent will be shut out on their big night? They are deprived of the rewards that precipitate from being recognized as a Grammy Award winner and one of the best by fans, friends and the industry.